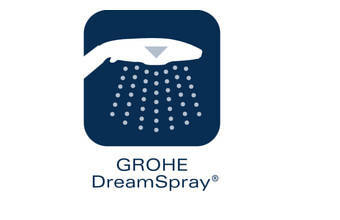 Exciting innovations include the new and highly sophisticated GROHE Bokoma Spray®: eight flexible nozzles create a 'breathing' effect, imitating a relaxing fingertip massage. 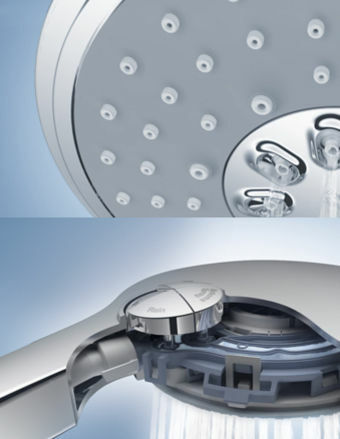 The GROHE Rain O2 technology infuses water drops with air for a fuller, richer shower spray. But there is more. 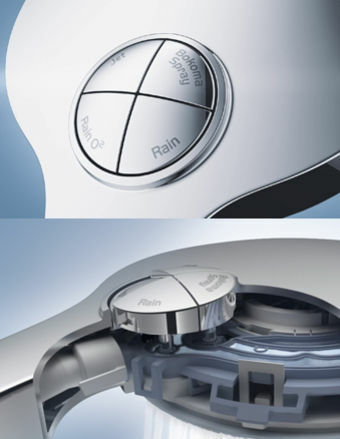 Some of the latest GROHE showers offer the choice between the classic GROHE Rain Spray and GROHE Rain O2. 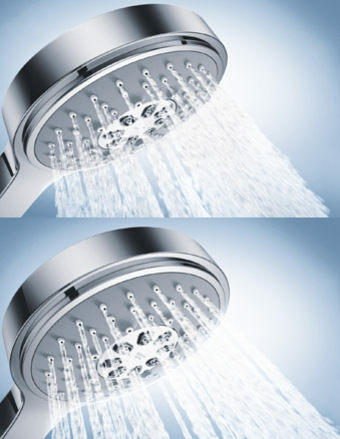 This allows you to choose between a softer or more active jet at any time for every member of your family. 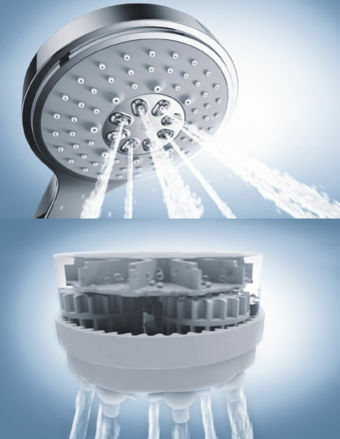 The One-Click Showering spray selector gives you direct access to your preferred spray pattern. Never again will you have to twist the spray face or click through several patterns to reach the one you want. Just press the corresponding button and enjoy.